The suburb of Phillip in Canberra is home to a rabbit warren of half loop courts filled with a variety of shops. Among these are some fabulous arts and crafts related shops. And did I mention the free parking??? Below are some of the shops that I’ve visited with some quick reviews. I made a custom Google Map here for your convenience, and embedded below. Info was up to date upon the publish date – it’s suggested you check the website/call the shop in question before you arrive to confirm current opening hours. Probably Canberra’s best known independent fabric shop. A2F carries a huge variety of quilting fabric – mostly in the modern style – as well as dress fabric and Liberty lawn. They also have a good range of notions. If you like beads, this is an amazing place. They have a huge selection here, as well as classes. I’m not a beader, but they are very useful for random supplies like brooch backs, hot fix crystals and the like. KimoYes carries vintage Japanese fabric including silk and cotton from kimonos. This shop is a must visit just to check out the beautiful fabrics. They also have gifts and pre-made items like purses and brooches made out of the fabric. Endangered Heritage specialises in conservation and restoration of antique and vintage items, including textiles. They also sell some excellent specialised washing detergent for textiles. Canberra Sewing Centre has probably the best range of thread (for sewing machines) in Canberra. They carry all the major brands. They also have a small range of fabric (mostly traditional style) and products for embroidery such as a selection of stabilisers. They also do sewing machine repair onsite. They really shine with their friendly and knowledgeable staff. Eckersley’s is a chain of arts and craft stores, but they carry a wide variety of products. This particular store is nice and big, well laid out, and easy to navigate. The Hadfield Gallery has a small selection of arts and crafts products and also provides painting classes. They are helpful and friendly. Stitch ‘N Time primarily carries yarn and products for knitters/crocheters. They have a wide selection of notions and a small range of embroidery thread and cross stitch kits. Sew Simple has a small range of quilting fabrics, thread and notions. They have a wide variety of batting available. They also have a long arm machine you can rent by the hour. They are also a Janome dealer and where I take my MC6600P for its servicing and buy my bobbins. Hansel and Gretel – they roast their own beans and have an amazing selection of international chocolates. Coffee Cafe – friendly relaxed atmosphere with great coffee and food. Lava Espresso – definitely the hipster of the group. If you like to hang with the cool kids, this is the place. Pickled Pear Cafe – just opened on Dundas Court. Great food. I love their Pickled Pear Salad. Canberra folks, have I missed a favourite shop of yours in Phillip? Let me know in the comments. 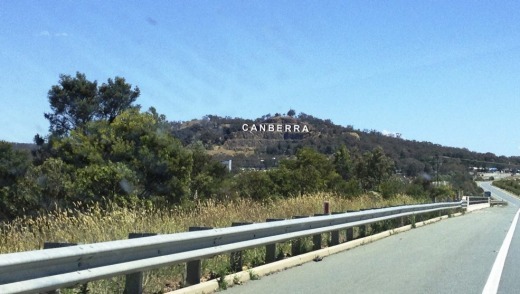 This entry was posted in Tips and tagged in Canberra, Phillip. « Can you be a Modern Quilter but not make Modern Quilts? This looks like a great area in which to find a b&b and stay awhile, shopping and caffeinating! Great round up Coral. My fave coffee shop is Whisk, up near Sew simple. Wonderful pastries but unfortunately they aren’t always open on Saturdays. Whisk is very good. They have awesome meat pies.